Tropical Floral Plus Size Top is rated 5.0 out of 5 by 2. 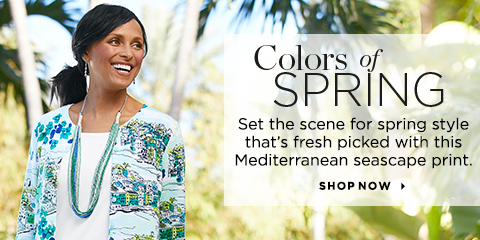 Sure to brighten up any day, this comfy top is splashed with a tropical flower pattern. Rated 5 out of 5 by CarolynnM from Spring for sure Great top to welcome spring just enough stretch to hold it's shape and color. Dress it up with white pants or down with jeans. Rated 5 out of 5 by Shopper33 from Love this top! Colors are great for spring. It washed well, I did not dry in dryer.